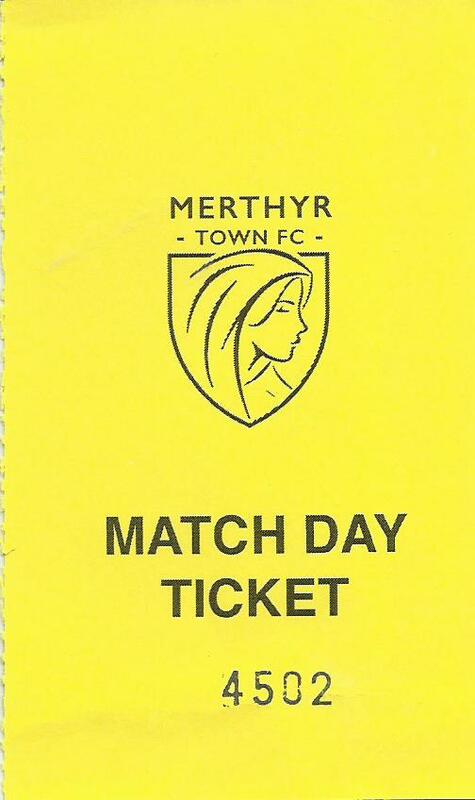 Merthyr Town FC is a non-league football club from the former mining town of Merthyr Tydfil in the Welsh valleys. 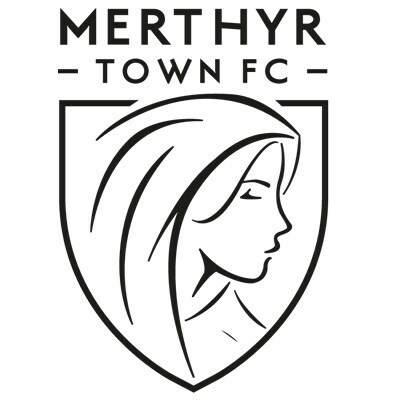 The current club was formed in 2010 but football in the town and the original incarnation of Merthyr Town AFC goes back to 1908. 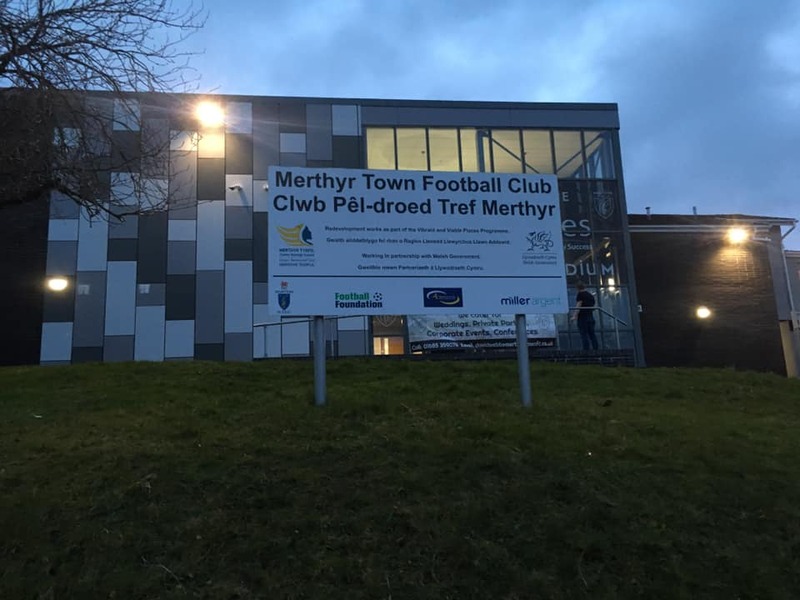 Another local club, Treharris had been formed earlier playing at Penydarren Park which was earned by Merthyr Athletic Club. It was decided to form a football club to represent the town. The popularity soon took off with 7,000 fans attending a friendly against Manchester City. The team competed in Division 2A of the Southern League in the 1909-10 season becoming Division Two champions in 1911-12 before Albert Fisher was appointed as team manager with full back Moses Russell selected as a full international for Wales. The team were relegated from Southern League Division One in 1913-14 before regaining their place in an enlarged top tier for the 1919-20 campaign. The club was elected as founder members of Football League Division Three South for the 1920-21 season. ‘The Martyrs’ reached the Welsh Cup final in 1923-24, losing out in a replay to Wrexham. Town failed to finish in the top half of the league table, finishing bottom once and in the last three on another couple of occasions. Another finish at the base of the table in 1929-30 led to the club losing their Football League status after failing to be re-elected to be replaced by the short lived Thames FC as Town struggled in the harsh economic climate in South Wales. The club was placed in the Western Division of the Southern League but left the competition at the end of the 1933-34 season. 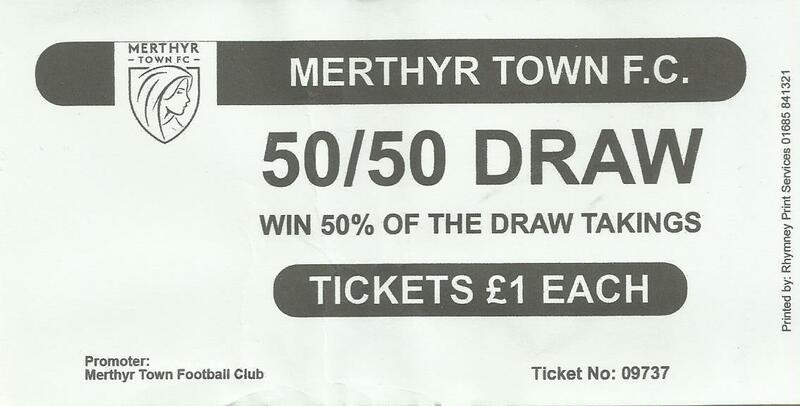 Merthyr Town were disbanded with debts of £3,000 in June 1934. Merthyr Tydfil FC was formed in 1945 after the end of World War Two to join the Welsh League. After finishing as runners-up in 1946-47 the club joined the Southern League becoming champions at the first attempt. 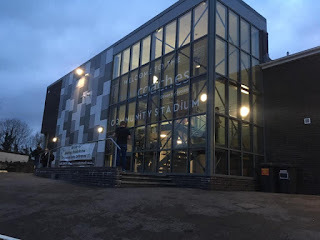 In the same season the team defeated Bristol Rovers in the first round of the FA Cup in front of 15,600 fans at Penydarren Park before going out to Reading at home as 19,500 supporters packed in to the ground. A crowd of 35,000 at Ninian Park saw Merthyr lift the Welsh Cup with a 2-0 win against Swansea Town in 1948-49. Further Southern League titles followed in 1949-50 and 1950-51 with a 3-2 Welsh Cup final replay win against Cardiff City as 18,000 fans flocked to the Vetch Field. 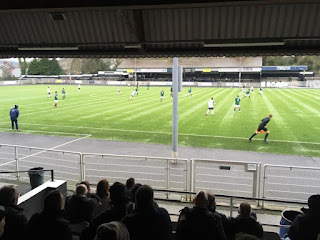 Merthyr reached the final the following season but were defeated by Rhyl. Compensation came through a fourth Southern League championship win, with the title being regained in 1953-54 after a runner-up slot the previous season. The following season saw the team reach the FA Cup second round before going out to Bradford City. Star players of the golden period included Bill Hullett, Bert Sellick, Trevor Richards, Bill Jarman and Phil Tabram. Despite the clubs’ success they failed to win enough votes to win election to the Football League. It was thought that the greyhound track around the Penydarren Park may have been a reason? 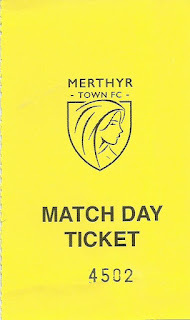 The league was split into two regional sections for 1958-59 before a Premier Division was created the following year, of which Merthyr Tydfil were members. Despite fielding a talented line up Merthyr were relegated to Division One in 1963-64. Promotion back to the top level was achieved in 1970-71 before the team dropped back down to Division One North twelve months later. Around this time veteran Welsh international legends John Charles and Mel Nurse signed for a couple of seasons along with future Welsh international Nick Deacy. The Martyrs reached the second round of the FA Cup in 1973-74, this time going out at home to Hendon. The goals of Gordon Davies earned the future international a move to Fulham before the team were moved to the Southern League Midland Division in 1979-80 after the Premier Division was done away with. The same season would see the second round of the FA Cup being reached for a fourth time. 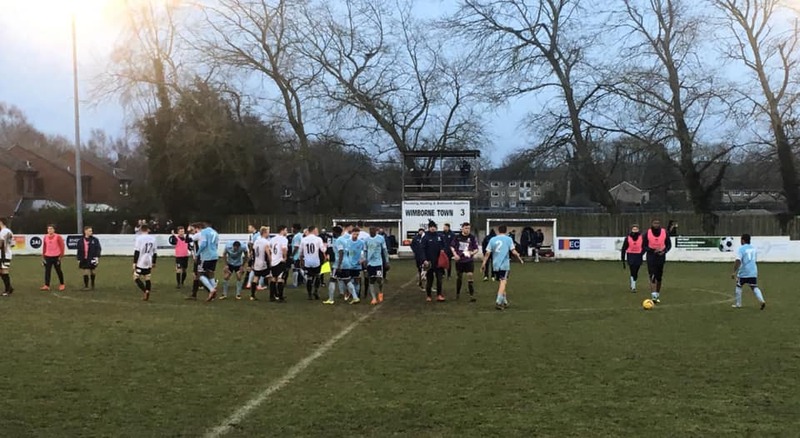 Chesham United ended any dreams of joining the big boys in the third round draw with a replay win at Penydarren Park. The late 1980’s would herald a second golden period in the history of the club starting in 1986-87 as a third Welsh Cup triumph was celebrated following a 1-0 replay win over Newport County thanks to a Chris Baird penalty, with Bob Latchford also in the line up under manager Lyn Jones. The Midland Division championship in 1987-88 to gain promotion the Premier Division but that was surpassed by a remarkable foray into the European Cup-Winners Cup when Merthyr were drawn in the first round against Italian side Atalanta. 8,000 fans filled the modern Penydarren Park after work from the community upgraded the terracing. The town held a Fiesta Italiana to welcome their opponents at a time that English sides were banned from European competition following the Heysel disaster. 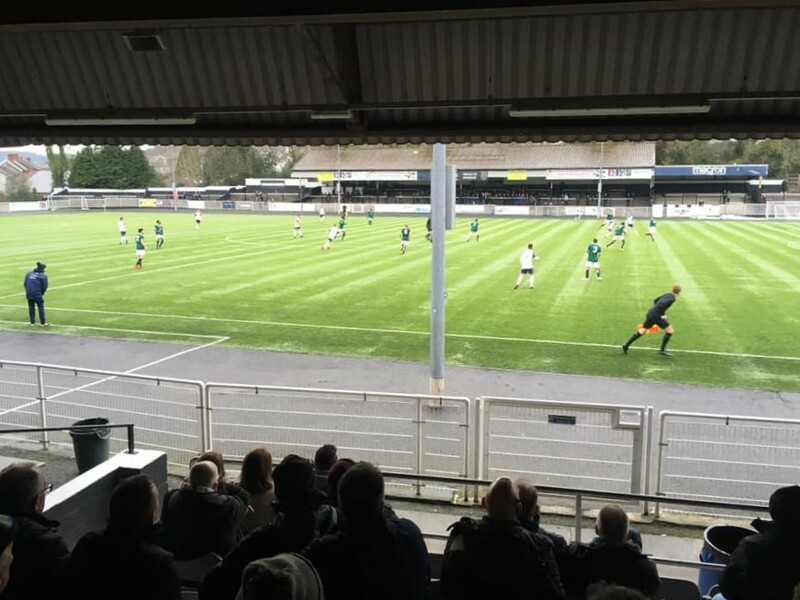 Kevin Rogers opened the scoring for Merthyr before the Italians equalised just before half time. A deflected Ceri Williams free kick near the end gave the Welshmen a 2-1 win. Atalanta went through after winning the home leg 2-0 in Bergamo to end an incredible tie. In 1988-89 Merthyr added a sixth Southern League title and were promoted to the Football Conference. The 1990-91 campaign saw another second round appearance in the FA Cup, this time ending in defeat away to Woking. After a couple of mid-table finishes, Merthyr finished in fourth spot in 1991-92 thanks in part to the goals of David Webley. However, that would be the highest position the club would achieve. The team were relegated back to the Southern League in 1994-95. A runners-up place came in 1997-98 as the club struggled financially off the pitch once again. Another relegation followed in 2001-02 before the team regained their top tier position after winning the Division One West title at the first time of asking. The live TV cameras covered the FA Cup first round tie against Walsall at Penydarren Park in November 2005, but the financial struggles continued. After finishing in seventeenth place in 2009-10 the club was liquidated with severe debts. 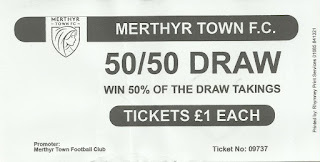 The Supporters Trust, Martyrs to the Cause immediately formed Merthyr Town FC as a replacement club who were placed in Western Football League Division One. In its debut season the club was forced to play at Rhiw Dda’r, the home of Taff's Well AFC. 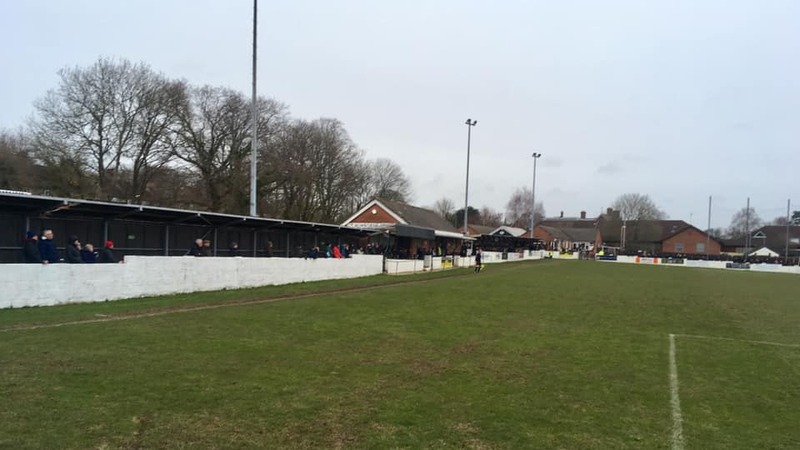 Town won the title in their first season to be promoted to the Premier Division before moving into Penydarren Park which had been fitted with a new artificial pitch and received a facelift. The return inspired the team to a second successive championship and promotion in 2011-12. 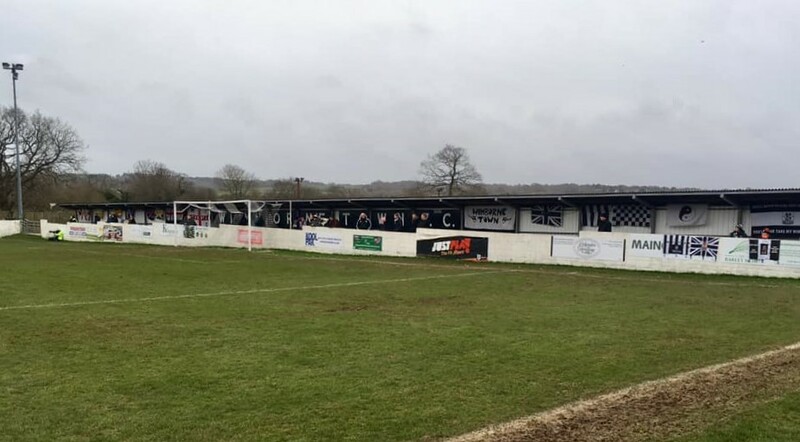 Merthyr reached the play-offs in the Division One South & West in 2012-13, missing out on promotion in the final to Hungerford Town after defeating Swindon Supermarine in the home semi-final. The side made no mistake under Steve Jenkins managership as they won the division in 2013-14 to win promotion to the Premier Division. Jenkins departed in the summer of 2016 to be replaced by his assistant and former League star, Gavin Williams. Williams took the side to the play-offs in 2016-17 before losing at home on penalties to Hitchin Town. During the 2017-18 campaign the club was rocked with a massive tax bill which enforced the team to field a side of junior which were defeated 13-1 at Chesham United. Donations came in as Merthyr restructured once again to show traditional fighting spirit with the team recovering from a cut in the playing budget to finish in seventeenth place. 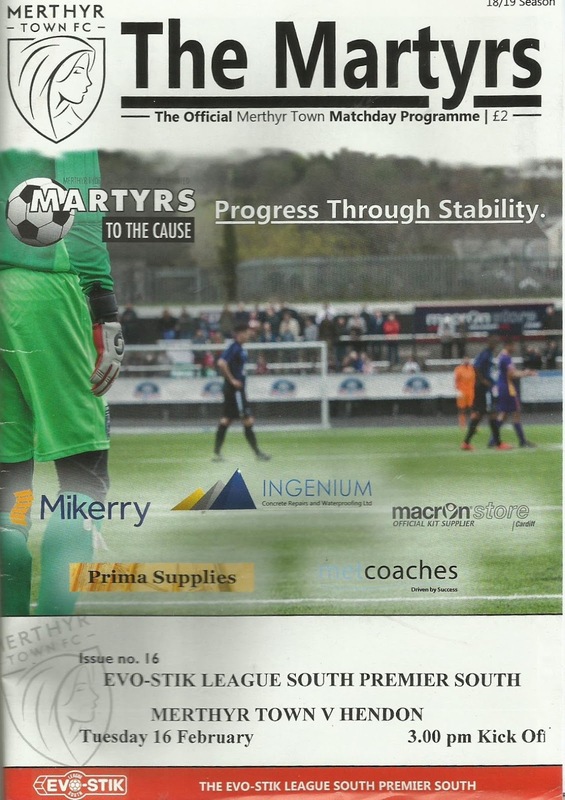 The club were placed in Premier Division South following league restructuring in the summer of 2018. 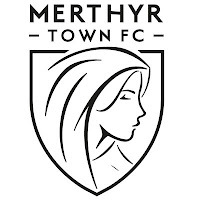 Merthyr Town FC will play in the Southern League Premier Division South in the 2018-19 season. I’m very lucky to get to go to plenty of sport and meet many good people, enjoying virtually every afternoon out, but every so often you really strike gold and know that you’ll remember a specific day for years to come. A week earlier I’d travelled to Wimborne Town on the team and supporter’s coach, for what was generally agreed by fellow fans to be a cracking day out to great hosts and an excellent game of football in most pleasurable surroundings. Merthyr had plenty to live up to as I boarded the coach. As ever, felt most privileged to be offered a seat on board. I liked the players and management and I could sense that the lads who’d joined the club in recent weeks were settling in and adding to a special togetherness. As it happened, I was on night shift on the Friday and then on my return, but I was boosted by the news that the club had booked a luxury coach for the long trip. I reckoned a decent kip in both directions would see me right. A text from secretary Daz Bloor arrived on Friday saying that the coach was unavailable, but that didn’t really matter to me. I was delighted to be heading to a venue I’d heard in glowing terms from my drinking pal and fellow Dons fan Steve Barnes. It said everything to me about manager Jimmy Gray that he was gutted as he’d promised the lads a coach with tables for cards and the height of luxury. A top man. We told him not to worry as it wasn’t anybody’s fault apart from the coach company. C’est la vie. The journey took a bit longer than anticipated, not helped by a late arrival, but hey ho. My sleep wasn’t as long I had as hoped. Tom brought some sci-fi DVD along. I’ve no idea how good it was, but it was loud. After a truncated break the coach travelled through some pretty impressive scenery, despite the dull conditions, up the Taff Valley. On arrival into Merthyr we soon found out that the narrow roads up to Penydarren Park were indeed as awkward as we'd anticipated. But, not as awkward as those living at the second bottom house on the left hand side of Park Terrace who were being a pain moving their two vehicles which blocked the way. It was building into a potential flashpoint, until the residents, who wouldn’t have looked out of place on Shameless, reneged. Looking behind me, up the aisle, I reckon they made a smart move. Somehow the driver got us to where we needed to be. Even more remarkable must have been his feat in turning the coach round for our return. It was a bit too late to head down the hill to a couple of pubs I’d earmarked. The Winchester Bar and Y Dic Penderyn would have to miss out on this occasion. Instead we paid our £12 admission and I grabbed a programme for a couple of quid. The Met Coaches Stadium, to give Penydarren Park its sponsors title, did look a cracker, but more of that later. Andy, Tom, Bob, Alex and I headed to the bar at the back of the stand where Daz was waiting for us. There was no real ale on tap so the lass behind the bar soon got practise in pouring six Caffreys at regular intervals up to kick off. It was immediately apparent that a good contingent of Hendon fans had made the journey. As kick off approached I got talking with elder Dons fan Peter Dean and then a Merthyr fan. Both reminisced about the FA Cup tie in 1973-74 when Merthyr had John Charles in their side. Hendon won 3-0 and went on to draw away to Newcastle United. Peter told me all about that too. How the Geordies were friendly before the game but were throwing bottles at the Dons support by the end. He said he managed to get next to a big bloke to try and being hit as they headed back to the coaches. I simply just love listening to elders, preferably with a pint, as they recall their stories about going to football and cricket. I would sit with my late Dad and in later years the smartphone would find him stuff to fill in details and bring back memories. He was equally astounded and delighted at some of the stuff that modern technology could dredge out. It doesn’t matter who the team is, it’s the listening and learning and seeing the joy on their faces as they open up and have a chance to talk about happy times. It seldom fails to intrigue and entertain me, so long as I’m not being lectured about it. You learn so much more than from a book or the internet and you build actual friendships by interacting with humans. Anyway, back to Penydarren Park. The Main Stand was a single tier of seats with some kind of community facility with corporate facilities built onto it. To its right was a good size open terrace. The far end was covered with a combination of seats and standing. However, the main feature to me was the far side cover, with one section having a newer roof. 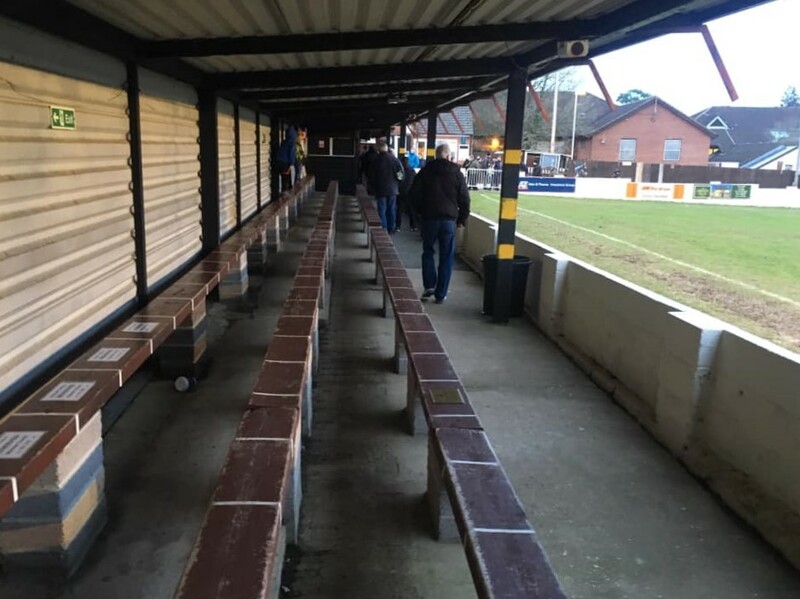 The main structure was huge by non-league standards, and not unlike that at Twerton Park in Bath with open sections either side. All the terraced areas had sturdy crush barriers. 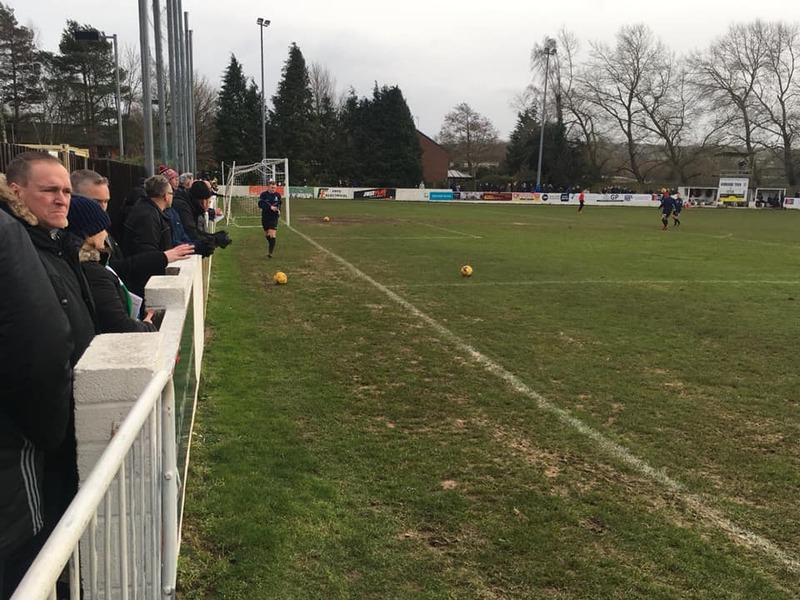 The pitch was an artificial surface, with a fair gap between the touchlines and the spectators because it was once surrounded by a greyhound track. The far side gent’s toilets really were one for fans of 1970’s football ground architecture. An open-air walled area with drains on the floor. The catering hut was to be found in the top corner of the cover. Again, this was outstanding. I opted for pie, chips & gravy at £3.50. I probably should have gone for what looked a classic for the same price, which was Tom’s selection. Half a small crusty loaf gouged out and filled with 2 sausages, chips and a choice of gravy or curry sauce. Superb fodder! To be fair the catering was the highlight of the first ten minutes or so, as both sides looked to make their mark. Merthyr employed an expansive passing game using the whole width of the pitch whereas Hendon played it shorter and tighter. The Dons hadn’t won in thirteen league games before kick-off, although they had drawn their previous four, whereas the Martyrs were looking to push towards a play-off spot having defeated Weymouth at home a few days previously. The visiting defence were not taking prisoners but winning many of their vital battles in the centre. 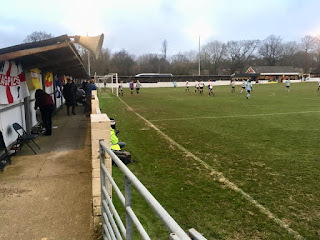 The centre midfield trio of Matty Harriot, Ryan Hope and Sergio Manjesio were going well, but the hosts Ben Swallow was causing problems wide on the left. Swallow crossed on sixteen minutes where Jamie Veale shot low towards the corner. Danny Boness in the Hendon net pulled off a superb save to his left. Veale headed another Swallow corner over not long afterwards. 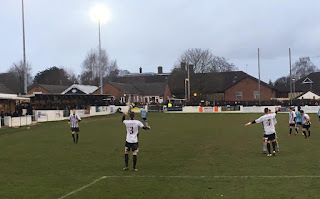 Manager Gray made a quality tactical change when he sent Luke Tingey out wide to mark Swallow and moved Jacob Gardner-Smith across the park and reverting to four at the back. It immediately tightened things up and Hendon grew into the game. A good passing move freed Shaquille Hippolyte-Patrick who got his shot away but it was blocked by the legs of young home custodian Lewis Webb. By now the home fans were getting rather cranky with referee Martin Peters, who it had to be said, did like the sound of his own whistle. Their ire was exacerbated as Andy and I had moved to the rear of the stand, at the front of the grid to get to the bar. His son in the Dons goal had made a good stop from Ryan Prosser before Hendon took the lead six minutes before the break. Ogo Obi received a ball on the right. He touched it past Webb who clattered into him. Referee Peters consulted with his linesman before pointing to the penalty spot. Hippolyte-Patrick scored despite the best efforts of Webb to atone. The Dons lost the ball from an attacking position throw in close to the half time whistle. 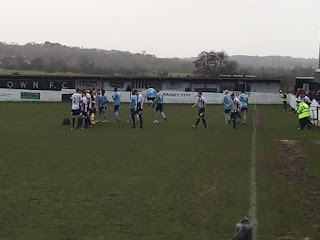 Merthyr attacked with the ball finally finding Ashley Evans who was foiled once again by the brilliant Boness who was having his best game in ages. We squeezed a quick drink in at the break before I took up a position on the terrace high up behind the goal with Daz for the second half. The Dons had to make a change as Darren Locke’s calf seized up again. Howard Hall came on in defence. Merthyr continued to stroke the ball about, but Hendon held firm. If anything, they looked even safer than in the first period as the midfield fought like tigers. Swallow was eventually withdrawn for the hosts. Connor Calcutt came on for Obi for Hendon and immediately set about winning all his area challenges and proving a real pest to the Merthyr backline. He made all the difference at a time when the game could have gone either way. Hippolyte-Patrick was having another excellent game, showing confidence and his physique to good effect. He made the second goal with twenty minutes to go when he created room to plonk a cross on the head of Calcutt who guided it into the corner. It’s fair to say that we were happy! Keiran Lewis came off the bench for Town and put the ball into the net after Mr Peters had already blown his whistle for a free kick. Much to the further annoyance of all but those cheering on the Greens. With twelve minutes to go Tingey was sent off for a clumsy challenge after earlier being cautioned for dissent. 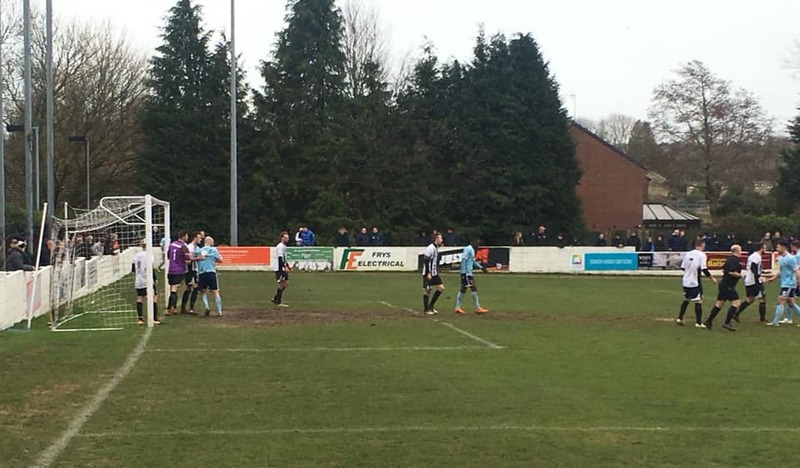 Merthyr had a second goal chalked off for offside, which just added to their frustration. Captain Evans looked like scoring as soon as a free kick left his boot outside the box, but Boness pulled off arguably his best stop to tip over. The hosts had another couple of efforts wide of goal before the full time whistle. The Dons players and management were absolutely euphoric at full time as they and the fans exchanged applause and celebration. It had been a long time since a win; December to be exact against the same opponents. The home fans were excellent all day, not that this was a shock to us. 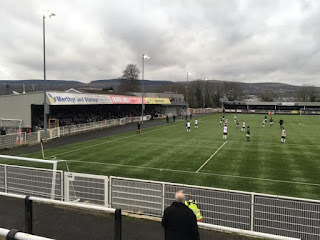 Merthyr supporters had been tremendous on both their visits to Silver Jubilee Park and had been first class hosts on this occasion, with nice words before and after the game. After a quick coke I went back to the coach to relax. It was soon evident it was going to be a happy journey home. I had no option as to joining in as my eyes were soon shut on leaving town trying to get some rest before work. Occasionally walking up it was great to hear the sing along to music and experiencing a proper team spirit. They’d earned every moment, especially the management team who must have agonised for hour on end for several weeks. The spirit among the camp was epitomised when Jimmy came down to the front to offer the fans a beer. That is special. As I said; a top man. Fortunately for me, a couple of the players wanted to get off before Silver Jubilee Park. This was ideal for getting to work. I gave one last blast of the miniature wooden rattle I’d bought online during the week, thinking it was full size. It got a cheer as a chorus of “Green Army” broke out at the back as I got off with Romario Jonas and Bayley Brown. A bus arrived in no time to take me to Eastcote for a one stop ride to Ruislip Manor for work, where there was still time for supper before I got stuck in. A post on the Merthyr fans forum was being met with plenty of mirth by this time. I think he’d been to a different game? 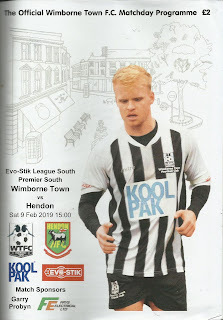 The author complained of Hendon kicking their opponents all day to gain victory with the referee also to blame. He did, in fairness pay tribute to Danny Boness, pointing to his outstanding performance in the week that we’d lost the great Gordon Banks. I guess football will always be a game of opinions, some often polarised, but it's all the better for it. What would we have to discuss in the pub or terraces if we all thought the same? Work went OK. I must confess I was glad when I closed until the morning service resumed. It was quite apt that my last punter asked me who I supported. I told him where I’d been. He said he played for Kingsbury Town for ten years and supported Arsenal. He'd had a good drink. Perhaps there was a connection between the final two points? Sunday was mainly spent in bed recovering, but I still had a smile on my face when I woke up. I don’t think I’ll ever forget my first trip to Merthyr. Maybe I’ll get to recall it to an interested younger football fan one day? Wimborne Town FC is a non-league football club from the market town of Wimborne Minster in Dorset that were formed in 1878 catering initially for rugby and football. 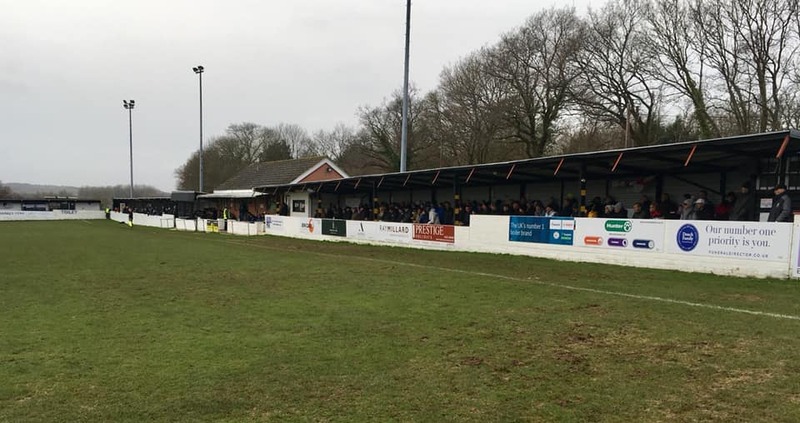 The club soon became members of both the South Hampshire and Dorset Football Association and the Dorset County Football Association. ‘The Magpies’ became members of the Dorset League, winning the Division Two title on three occasions during the 1930’s, before ending as runners-up in Division One in 1938-39. The club also found success in local cup competitions in this era. Town joined the Dorset Combination for the 1957-58 campaign but returned to their previous league after just one season, before returning to the Combination in 1973-74; this time for a spell of three seasons. Wimborne returned to the Dorset League where they won the league title in 1980-81 without losing a game. A perimeter wall and new changing rooms were installed at their Cuthbury ground as the club was admitted to the Western League First Division. The progression led to Town entered both the FA Cup & FA Vase for the first time in 1982-83. 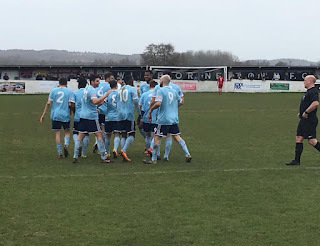 Their debut FA Cup campaign saw a fine run all the way from the Preliminary Round and include home wins against Merthyr Town and Bath City before going out 4-0 away to Aldershot. The 1984-85 campaign saw a third place Western League finish before the club became members of the Wessex League in the summer of 1987. The league title arrived under joint-managers Alex Pike and Nick Jennings in 1991-92 but the triumph would be overshadowed by greater glory. 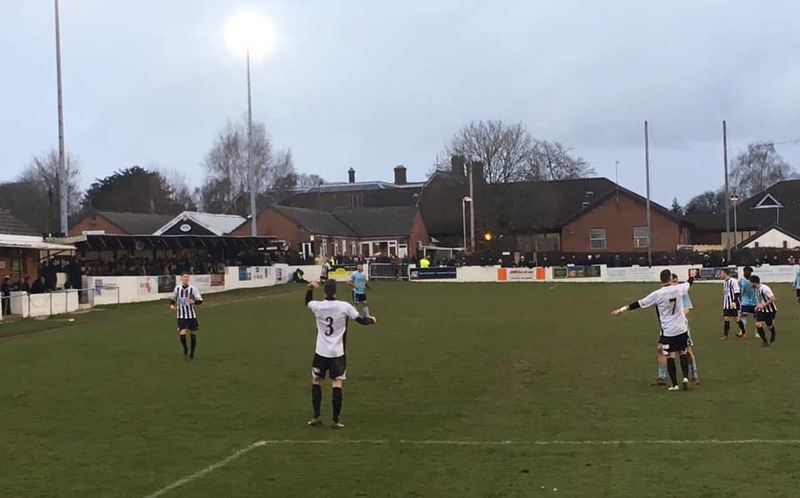 The Magpies set out on an FA Vase run which saw victories over Mangotsfield United, Chard Town, Horsham, Hastings Town, Newcastle Town, Diss Town and then Bamber Bridge in the semi-final, with over 3,000 fans cramming into Cuthbury for the home leg. 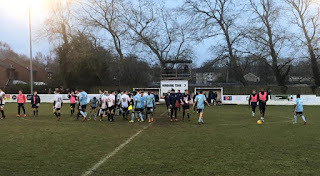 Wimborne faced favourites Guiseley at Wembley in the final. 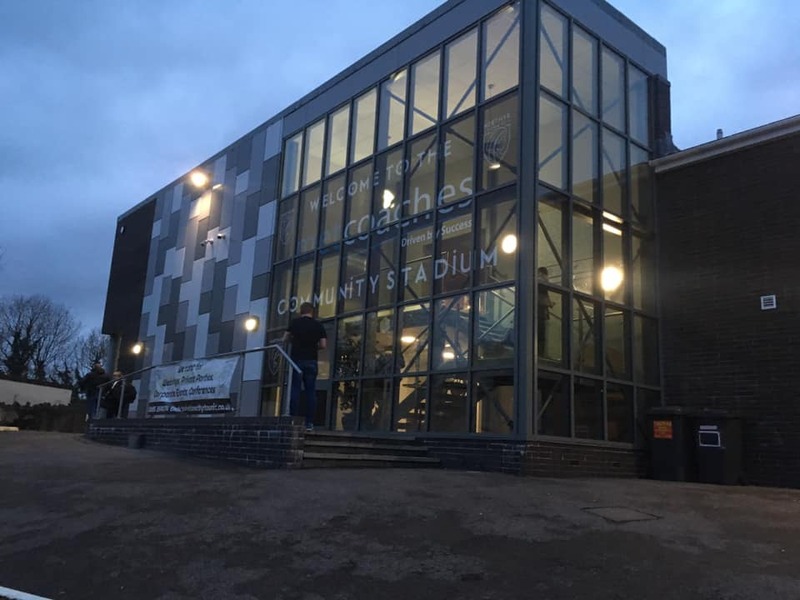 Town won 5-3 thanks to a brace of goals from both Tom Killick and Jamie Sturgess with Steve Richardson also netting as the club became the first ever Dorset representatives to play at the national stadium. The following season saw the side end as league runners-up before collecting their second Wessex League championship in 1993-94. Another second place in 1996-97 was followed up by a third league triumph in 1999-00. 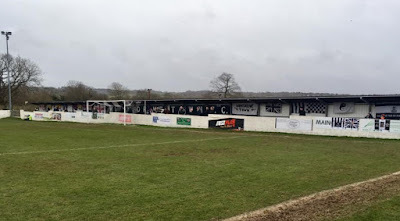 Cuthbury suffered from ground grading stipulations for several seasons, but promotion was finally won when the team finished as Wessex League runners-up in 2009-10 under manager Alex Browne as the club joined the Southern League Division One South & West. Steve Cuss took over at the helm in the summer of 2011, going on to fashion a competitive team who had just escaped relegation on a couple of occasions, to one that finished in mid table. Cuss resigned in November 2015 to be replaced by Simon Browne. However, the new man departed in May 2016 over a disagreement over the playing budget for the following season. An experienced team of directors had been assembled, and they appointed former West Ham United and AFC Bournemouth midfielder as the new team manager. 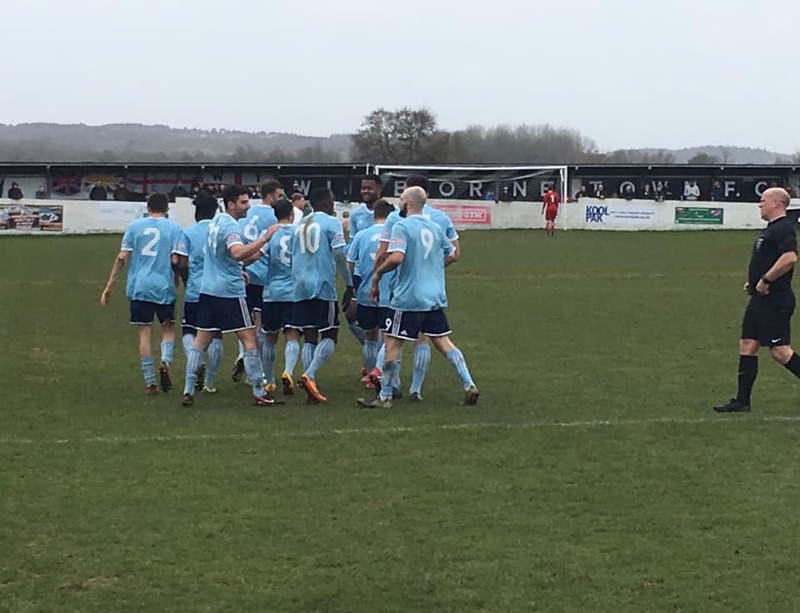 Holmes ed his side to the 2017-18 play-offs of Division One West, where they defeated Didcot Town before losing at home to Swindon Supermarine on penalties in the final. The disappointment was soon to give way to relief. 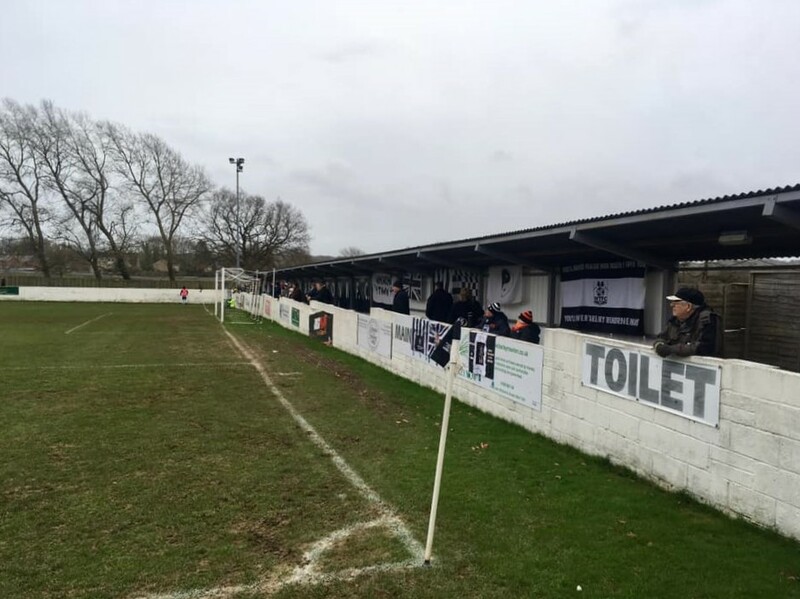 Shaw Lane FC resigned from the Northern Premier League, meaning that a place was made available at step three for the team with the next best record. 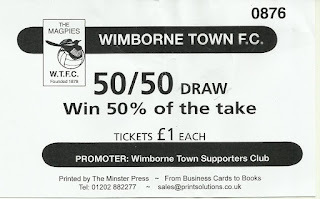 That turned out to be Wimborne Town who were promoted to the Southern League Premier Division South. 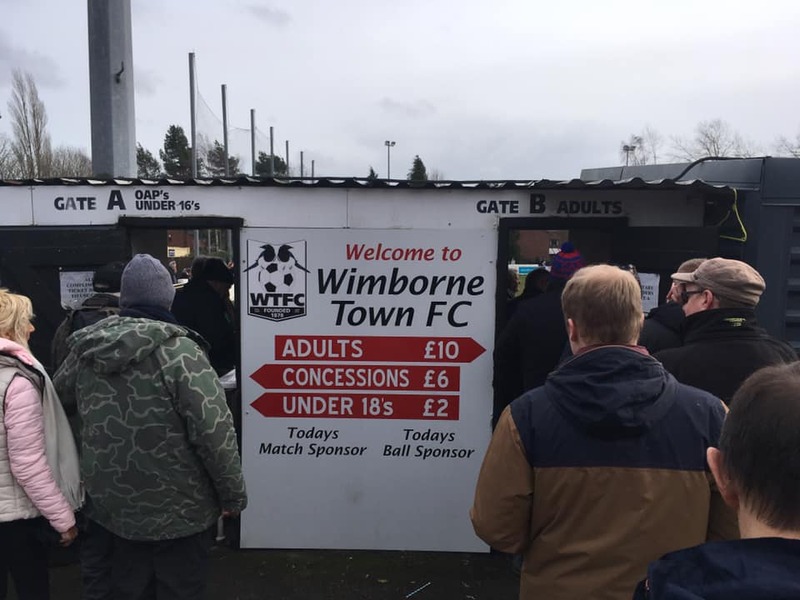 Wimborne Town FC will play in Southern League Premier Division South in the 2018-19 season. Hendon’s sideways move into the Southern League had certainly provided me with some opportunities to visit venues that I’d have never normally contemplated visiting, and this was another case in point. I was kindly offered a place with some other regular fans on the team coach and I readily accepted. The rain had fallen heavily in Dorset the day before the game and a provisional pitch inspection was put in place. 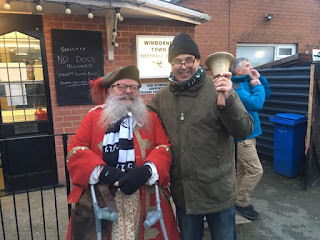 I’d enjoyed a few pints on Friday night and marked down Dorking Wanderers v Kingstonian as my back up plan if my initial choice was called off. Steve Barnes was put on stand by for my text when I heard any news. As it transpired the pitch at Wimborne wasn’t even deemed necessary of an expert look. All was good as we departed around 10.30am from Silver Jubilee Park on a coach that seemed colder inside than out. The journey was truncated by a stop at Winchester Services and seemed to pass quickly with the usual football chat and watching the King of Thieves film plus all the added extras to pad the time out. Among the travelling fans was Marina Reznor, an American author who based a couple of her books around the now mythical Kingsbury Town and non-league football. She was over from Pennsylvania for a visit and it was a pleasure to meet her. Marina also provided brilliant artwork posters for Hendon games. Initial impressions of Wimborne Minster were that it seemed a quaint little town surrounded by pretty countryside. Bob, Alex and Andy seemed impressed that I’d sorted the nearest pub out. Indeed, we passed The Green Man on the road to Cuthbury. The ground was up the narrow Cowgrove Road, which didn’t have footpaths on a tight bend. The wind, while not as fierce as in North London, was getting up and blowing from the west. 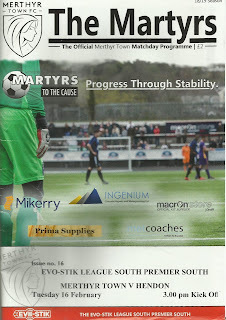 I’m glad to report that it didn’t hamper our walk to the pub after we bought the £2 match programme. The beer in the cosy and friendly pub from Wadsworth Brewery hit the spot as John Rogers joined us. He’d arrived early and confirmed that the town was indeed very pretty. He had to go on ahead as he was on duty updating the club Twitter account. There was still time for us to grab a pint in the bar in the busy clubhouse before paying our £10 admission. 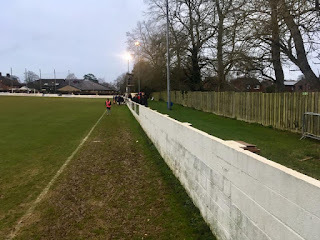 The crowd was a decent size in a ground Mr Rogers perfectly described as “a beautifully tight, charming tumbledown ground”. My pal had nailed it. A couple of areas of long low cover, one with seating stood on the entrance side. 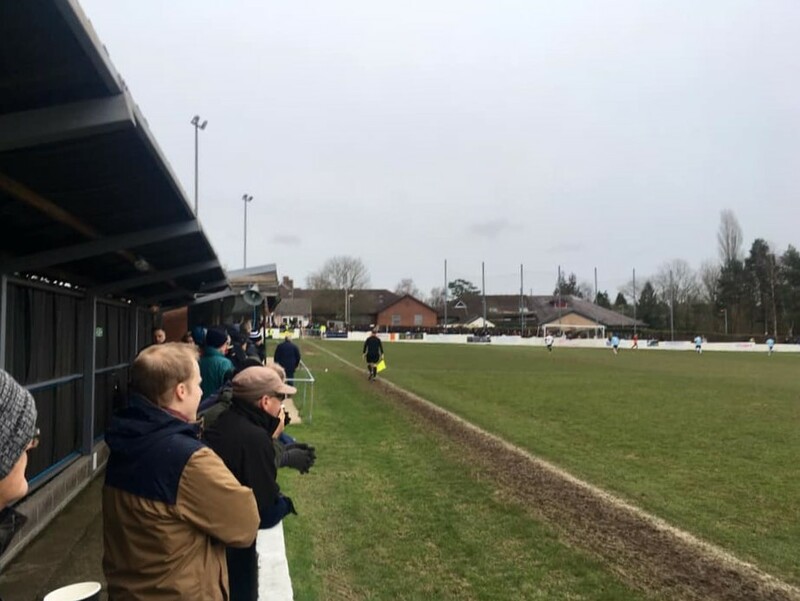 An area of narrow open standing was behind the near goal with a low covered standing area at the far end. The opposite side was open and flat with hard standing and grass and including a video gantry and the team benches. The main feature was the sloping pitch. I’d not come across one quite like it before. The main gradient was from the entrance side across the pitch, but there were also a couple of other undulations. The pitch was heavy underfoot after the weeks weather. Hendon were without a win in eleven league games but had drawn their previous three encounters and were showing sure signs of improvement. They were getting a bit too close to the relegation spots for comfort. 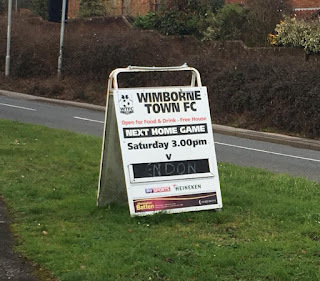 Wimborne had a formidable home record but were patchy on the road. 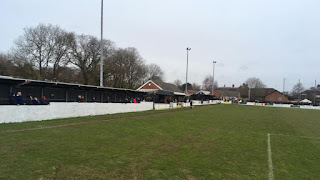 The set up for fans at Cuthbury, or Koolpak Stadium under a sponsorship deal, was first class, with an outside barbeque doing meats while an inside café did all the drinks and some other warm food. My cheeseburger was excellent along with the friendly service. The wind was blowing straight down the pitch at the backs of the Hendon defence in the first half. 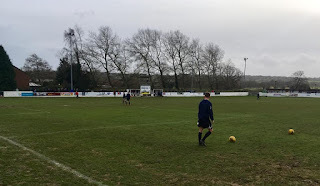 It didn’t deter the hosts as a Toby Holmes effort from range hit the top of the Dons crossbar before Luke Burbridge hit the foot of the post with keeper Danny Boness well beaten. The visitor’s central midfield of Matty Harriott, Sergio Manesio and Ryan Hope began to get a grip of proceedings. I was becoming frustrated as sometimes the play was a little over elaborate when a shot using advantage of the conditions was surely a better option? 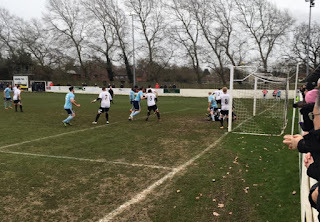 On twenty three minutes the Greens, playing in sky blue on their travels went ahead with a low shot from Hope lacked power, but home keeper Gerard Benfield somehow let it out of his grasp to crawl into the net; not that I was too upset! 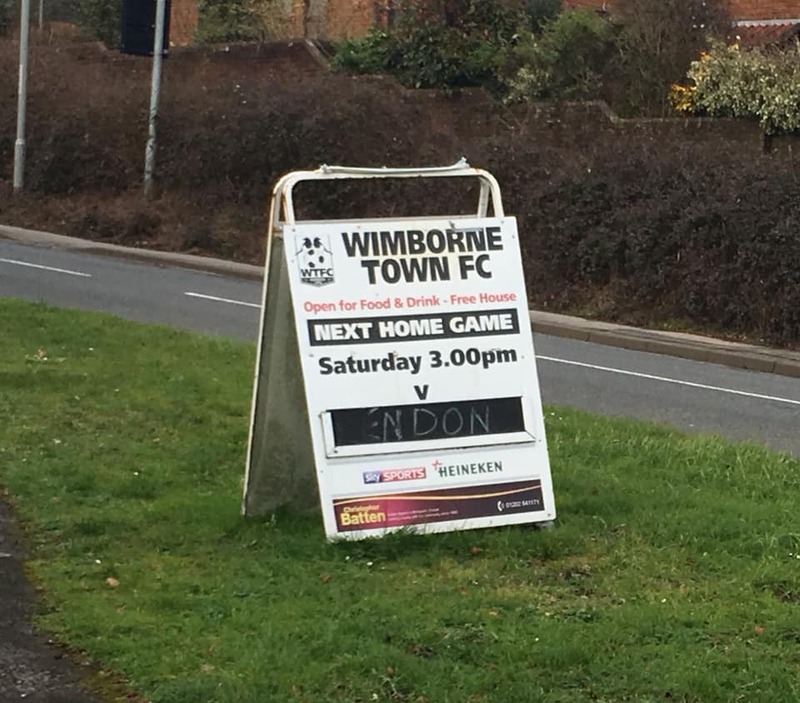 Within a couple of minutes Wimborne drew level. Holmes latched onto a through ball, which Boness intercepted with his fist on the edge of the box before colliding with the forward. There were appeals for a penalty but Burbridge didn’t wait to find out and shot into the empty net. 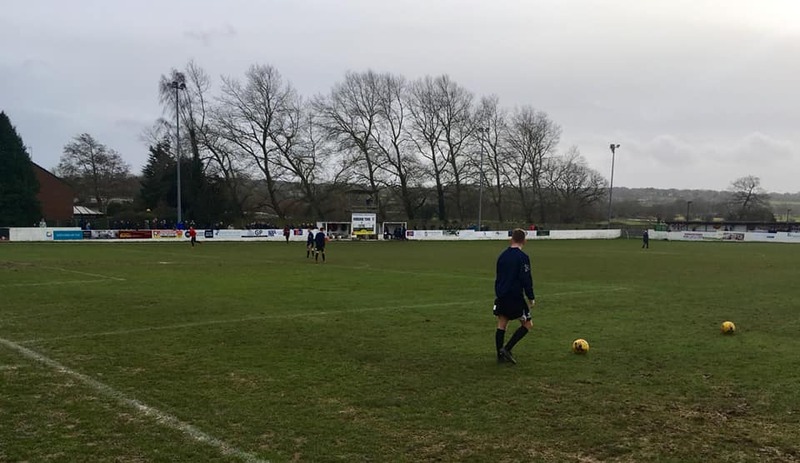 The referee was the same as who had officiated Hendon’s game at Salisbury, where he put in a performance that suggested that he’d favoured his old Weymouth team mate Steve Claridge. 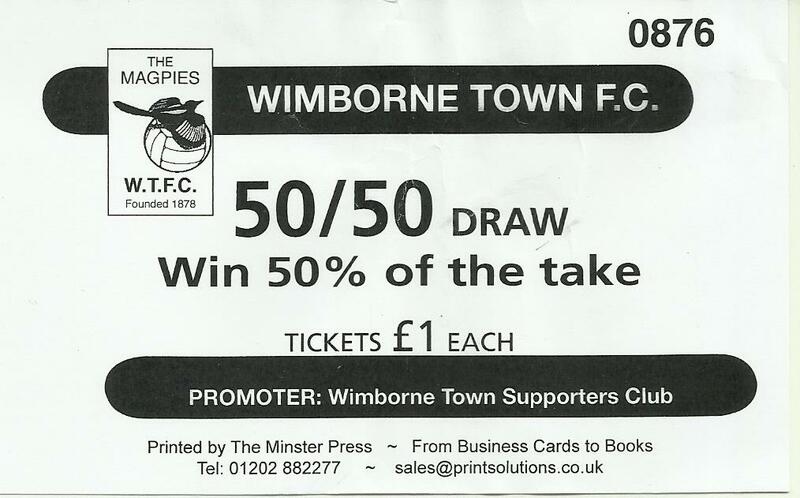 Some of the feedback from the Wimborne fans seemed to tally. He wasn’t popular. His stock with the home fans plummeted further just before half time. Hope took a corner when the ref blew and pointed to the spot. 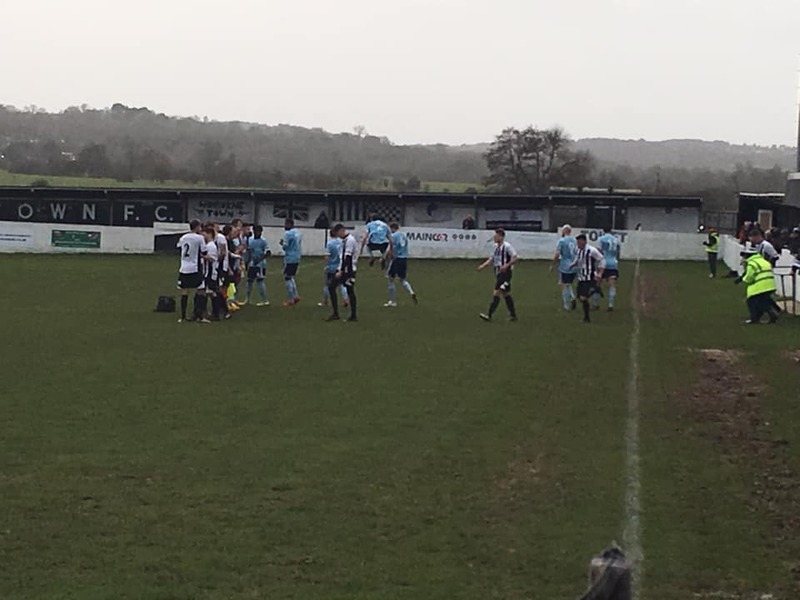 He adjudged that defender Sam Davidson was impeding Lewis Toomey and booked the Wimborne man for his troubles. Benfield got a good hand on Shaquille Hippolyte-Patrick’s penalty, but it was too strong. Hendon went to the changing rooms at the break with a 2-1 lead as we headed inside for a swift pint in good form after the keeper flapped at a Darren Locke header and Boness had made a good stop at the other end. We headed behind the far goal for the second half, with the roof providing a nice buffer from the wind. 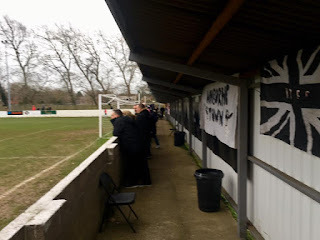 Most Hendon fans were in general agreement that the new signings were bedding in well and performances were certainly improving. Famous last words. On fifty three minutes a regulation ball up the middle got caught in the wind and over Locke. Holmes lobbed the advancing Boness to restore parity. The custodian made another fine save shortly after, this time from Billy Maybury. 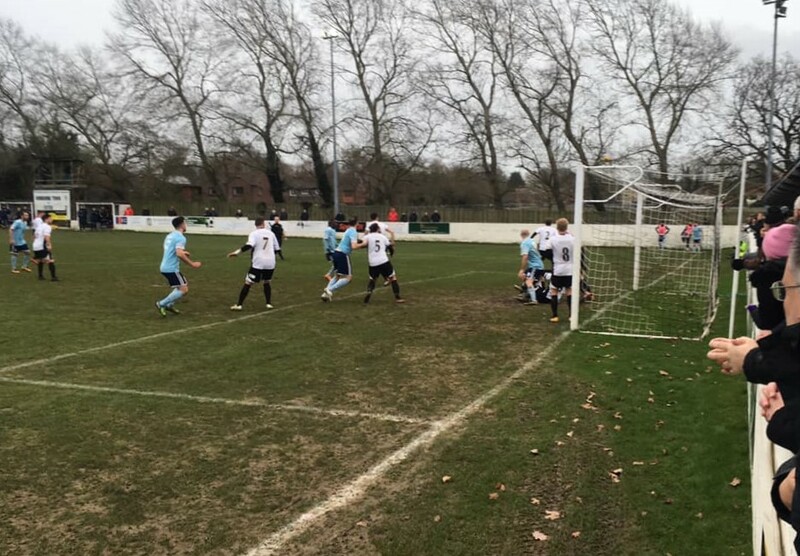 On sixty four minutes the hosts went ahead after some shocking Hendon defending. The troublesome Burbridge wasn’t picked up from a standard throw in. He lobbed the ball into the area first time where the impressive Holmes headed home unmarked. This would have spelled real trouble for the Dons a few weeks previously. However, they had developed a resolute attitude of late and were soon rewarded. A Hope free kick dipped in the wind, Locke stooped to head and the ball beat Benfield to make it 3-3. The match really did offer great entertainment even if it contained errors. The Dons were getting control and creating audible concern to the Wimborne players. The referee continued to have an excellent game which really did make me think about his Salisbury performance. With twenty minutes left on the clock Hendon nearly and should have regained the lead. A fine pass from Harriott sent substitute Ogo Obi through. The forward beat Benfield but with too much elevation as the ball came back off the underside of the bar before he eventually saw the follow up saved. Locke saw another header cleared off the line by Stefan Penny as Benfield continued to struggle particularly with crosses. Boness made a fine acrobatic stop from Burbridge before Benfield proved his worth with a tremendous tip over from a rasping Hope shot. Both sides continued to look for a winner in the closing stages, but the defences held firm. A draw was probably about the right result. It was a game that epitomised why I loved non-league. Every player gave it everything. The fans were friendly and appreciative. Marina had her photo taken with the team at full time, which made her day. She’d certainly picked out a cracker for her visit. My mood was brightened further as I won over £100 on the fixed odds and celebrated in the bar with my mates. 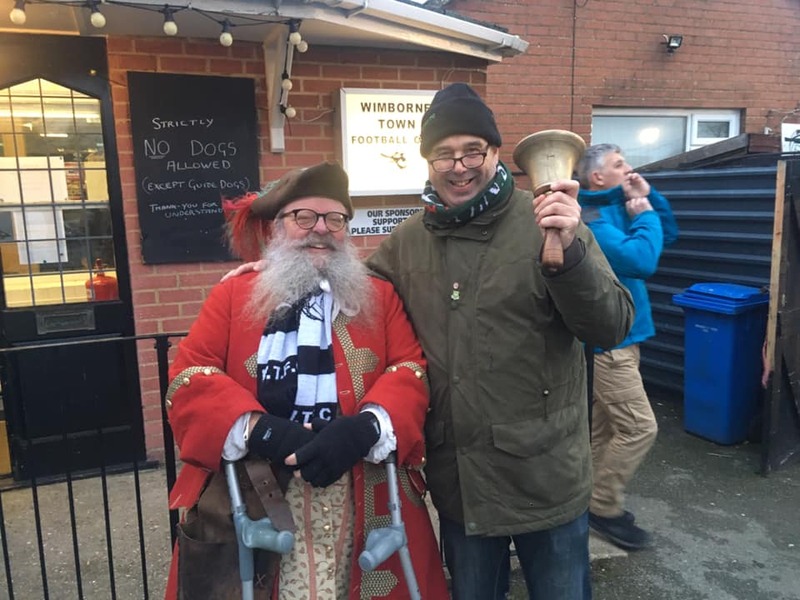 I got to meet the Town Crier of Wimborne Minster who seemed a smashing bloke, and apparently a regular fan on my way for a beer. He even posed for a photo. 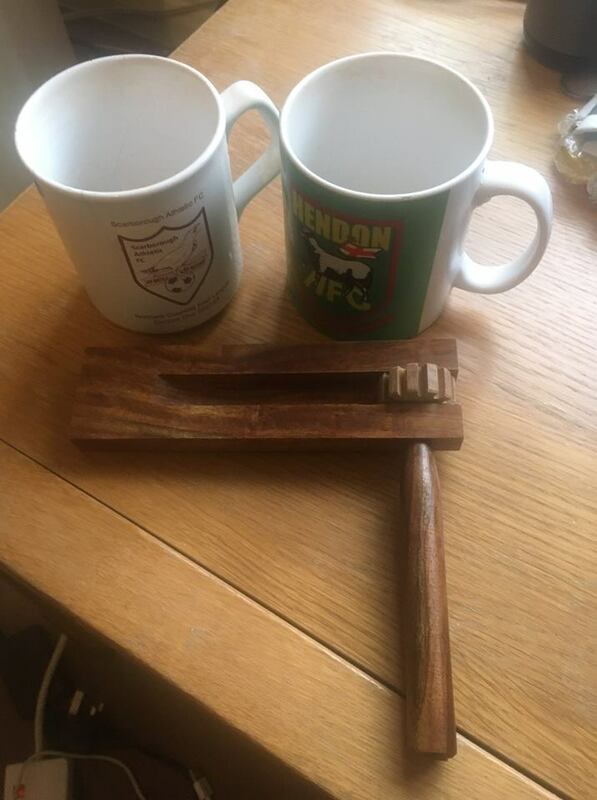 That what was non-league football was all about. The journey back was smooth and lacking incident until my water bottle leaked in my bag soaking my IPod, failing to turn on when I tried it the following day. Just another chapter in life’s game of snakes and ladders. I went to bed to prepare for an early start for my next adventure as I headed to Copenhagen for the day for more fun and football.